The official field of runners for the Grand National 2020 has not been declared yet. The race will be run on the 4th April 2020 – 5:15 pm. Below we've featured the Ante Post odds from Betfair. The horses listed on this page are not the declared runners for the 2020 Randox Health Grand National and are not guaranteed to line-up on 4th April 2020. Was entered in 2019 but withdrawn to go to the Cheltenham Gold Cup instead. On good form, he finished in 6th place and then ran in the Betway Bowl Chase at Aintree but came last. Well handicapped in 2019, hopes were high for Ramses De Teillee. However, the distance proved too much for him and he was pulled up. A year older in 2020 and he could do much better. Despite his limited preparation, in 2019, Rathvinden did very well and finished third in the Grand National. But at 12-years-old by the time the 2020 Grand National comes around, he may not get another chance. Winner of the National Hunt at the Cheltenham Festival, Le Breuil is definitely a serious Grand National 2020 contender. With stamina in bucket loads, age on his side, great form and able to carry hefty weights, he's one to watch. Unfortauntely, despite high hopes, Vintage Clouds didn't make it passed the first fence in 2019. Connections then took him to the Scottish National where he finished in 6th place. The Becher Chase winner clearly loves Aintree. Despite only a couple of small prep races he returned for Grand National and finished in 4th place. Could easily be back again for 2020. Just made the cut in 2019 and with some good form behind him, it looked like he could run a solid race. However, he pulled up after he started to weaken four out. But even then he was just in the middle of the pack and never really contended. He unseated in the Grand National but was run a couple of weeks later in the Irish Grand National but was pulled up by jockey Robbie Power. We should definitely see him back in 2020. We tipped him for the Grand National but knew that the distance would always be a question mark. And so it was as he was pulled up by Henry Brooke when he got hampered by a faller. That aside he was doing well and could come back again in 2020. With a lot of punters latching on to his name, Livelovelaugh was backed from 66/1 to just 25/1 on the day of the Grand National. He got around the course but could only manage 11th place. Winner of the 2017 National but missed out on the 2018 race due to injury. He returned in 2019 and ran another great race but ended up in 6th place, 26L behind Tiger Roll. The horses listed on this page are NOT declared runners for the 2020 Randox Health Grand National. The odds listed are ANTE POST. Please check with your Bookmaker before placing a bet as fluctuations can occur. Full Terms and Conditions for the bonus bet offers can be found on the Betfair and Paddy Power websites – please read them before you sign up with a bookmaker. The official ‘Going’ can play a massive part in the outcome of the race. 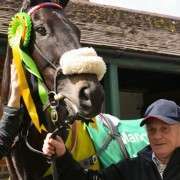 Read all about past Grand National winners dating back to 1960. Get our handpicked tips for the 2020 Aintree Grand National. People will tell you that picking a Grand National winner is a lottery, they'll say that on the day any one of the 40 runners could win. In some respects that statement is true, the National remains one of the most open races in the world. In fact, the first ever winner (1839) was called ‘Lottery', appropriately enough. But this belief isn’t borne out by the stats. 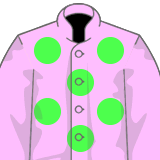 In fact, by looking down the list of winners over the past 40 years – you can spot patterns that will help narrow the field of runners down to a shortlist of entrants who have the right stuff to triumph at Aintree. Over the long history of the Grand National trends have emerged which give us clues about the type of horses which statistically have a better chance of winning the big one. We've put together a list of the key traits which many Grand National winners display. Of course, every few years a horse will come along and rip up the form book. Age is one of the best indicators to a horse's chances of winning the Grand National. Looks for runners who are aged 8, 9, 10 or 11 as the majority of winners in the last ten years have fallen within this bracket. Three of the last six winners, meanwhile, have all been 11-year-olds – Neptune Collonges in 2012, Auroras Encore in 2013 and Pineau De Re in 2014. It's worth noting that 8-year-olds have won three out of the last four races. 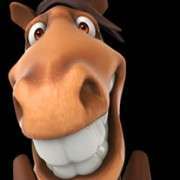 Due to the nature of the Aintree fences you'll be looking for a horse who is proficient over the jumps. Horses who struggle over the normal run of the mill fences will likely find Aintree too demanding. Look for a runner with at least 10 career chases under his belt and ideally they should have won at least one race with a prize fund worth over £17,000. The Grand National is the longest race in the National Hunt calendar, unless a horse has previously had a run in the National it's unlikely that they have ever raced over this distance. In fact, few races come close to the four mile slog that Aintree serves up. Which is why I favour horses who have previously tackled the National course and finished, even if they didn't finish in the top half of the field. Until very recently you would be hard pushed to find a Grand National winner who carried a big weight to victory. Between 1990 and 2005 the only horse who returned victorious carrying more than 11 stone was Hedgehunter (2005, 11-01). However, the 2015 winner carried a whopping 11-09 and between 2009 and 2015 five winners have carried 11 stone or more.